David Hamilton is a member of the Austin Texas branch of the Democratic Socialists of America. Ryan Pollock, Rodney Florence, Adrian Boutureira and James Cole demonstrates against the U.S. airstrikes in Syria at a protest at the Capitol on Aril 15 2018. Drivers, with their car horns and thumbs-ups, encouraged about 50 protesters at the south entrance of the Capitol grounds Sunday afternoon condemning U.S.-led airstrikes on Syria. President Donald Trump announced the airstrikes late Friday amid suspicion that Syrian President Bashar Assad had used chemical weapons against his own people in a rebel-held area near the nation’s capital. The attack reportedly killed at least 40 people. Syria has been in a civil war for seven years. “No justice, no peace; U.S. out of Middle East,” and “One, two, three, four, we don’t want your racist war; five, six, seven, eight, Syria’s a sovereign state,” were some of the chants protesters hurled toward traffic and pedestrians where Congress Avenue meets 11th Street downtown. The United States, Britain and France unilaterally and illegally struck sites in Syria, and did so without proof Assad was responsible for the chemical weapons attack, said Adrian Boutureira, one of the founding members of the Austin chapter of No War With Syria and a leader in the Travis County Green Party. Democratic Socialists of America member David Hamilton said he doesn’t trust the word of American intelligence officials, citing the Iran-Contra affair, the lack of evidence of Iraq having weapons of mass destruction after the U.S. invaded for that reason and the allegation that former National Intelligence Director James Clapper lied under oath before Congress when asked if the National Security Agency collects data on Americans in the United States. David Durbin, a member of Austin Anti War and No War With Syria Austin, said he’s skeptical about the narrative used to warrant airstrikes. Even if Assad was responsible, American involvement in the civil war will make matters worse, he said. “It’s just going to drag on the killing of civilians and the war,” Durbin said. Protester Amina Choudhury said American involvement is “very messy.” The United States conducted airstrikes almost exactly one year ago Friday because of a chemical attack, yet Assad is still in power, and the rebels are losing the war, she said. Trump wanted to send a message to Assad with the airstrikes, but “there is no message being sent,” Choudhury said. Members of Austin Anti War, No War With Syria Austin, Democratic Socialists of America, Travis County Green Party, International Socialist Organization, Veterans for Peace and ANSWER (Act Now to Stop War and End Racism) Coalition participated in the protest. Members of Open Cathedral, a progressive church in Leander, also attended the rally to supply water and first aid if needed. 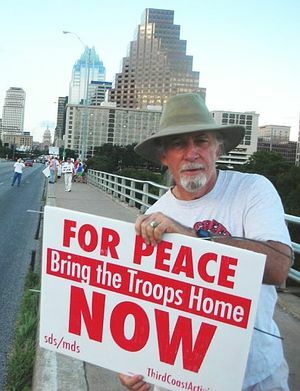 In the late 2000s, Thorne Dreyer and David Hamilton were very active Movement for a Democratic Society members and made their Austin Texas branch, one of the most active in the US. In 2008 David Hamilton of Austin MDS, Austin, TX signed an online petition “A Open Letter to Barack Obama on Iran”. 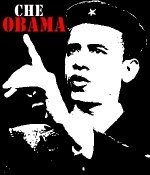 In 2009 David Hamilton, Movement for a Democratic Society, Austin Texas, was listed as a signer of the Progressives for Obama website. In 2010 David Hamilton was listed as a contributor to the Movement for a Democratic Society linked, Austin Texas based, The Rag Blog website. This page was last modified on 14 October 2018, at 06:32.